The top complaints Dr. Nidal Moukaddam’s patients have about the medication for their opioid addiction is the constipation and swelling. Moukaddam, a Baylor College of Medicine psychiatrist based at Ben Taub Hospital in Houston, is one of several hundred doctors statewide authorized to prescribe buprenorphine, a medication that stifles cravings and withdrawal symptoms for people addicted to opioids. But since her patients at the hospital's addiction clinic are on Medicaid, the joint federal-state health insurance program for the poor and disabled, she can only prescribe one drug without hassle — Suboxone. It’s a buprenorphine drug that comes in a pill as well as a film-like strip patients dissolve under their tongue. It also has naloxone to prevent them from injecting the medication to get high. Moukaddam usually prescribes the strips. She wishes she could easily prescribe other types of treatments, like once-a-month injectables, in case the side effects of Suboxone become too much for her patients. “If a big provider like Medicaid would expand options for medication and long-acting injectables, we would be able to customize treatment for people in much different ways,” Moukaddam said. It’s why she and other Texas doctors say they’re watching the state’s Drug Utilization Review Board meeting on Friday. The board is taking public comment on whether to expand Medicaid’s preferred drug list to include other kinds of buprenorphine and medication-assisted treatment for opioid addiction. Currently, Suboxone, made by Indivior, is the only one on the list. Medication-assisted treatment is considered by public health officials a solution to helping the growing number of people in the United States addicted to opioids. There were more than 42,000 opioid overdoses in the United States in 2016, according to the Centers for Disease Control and Prevention. Prescription painkillers such as hydrocodone; oxycodone; fentanyl, a synthetic drug; and heroin were most prevalent. While there’s been national focus on states like Kentucky, Maine, Ohio and West Virginia for the opioid crisis, 1,375 Texans died from opioids in 2016. If a Texas doctor wants to prescribe Medicaid patients with addiction a treatment other than Suboxone, they have to get special permission from the state. 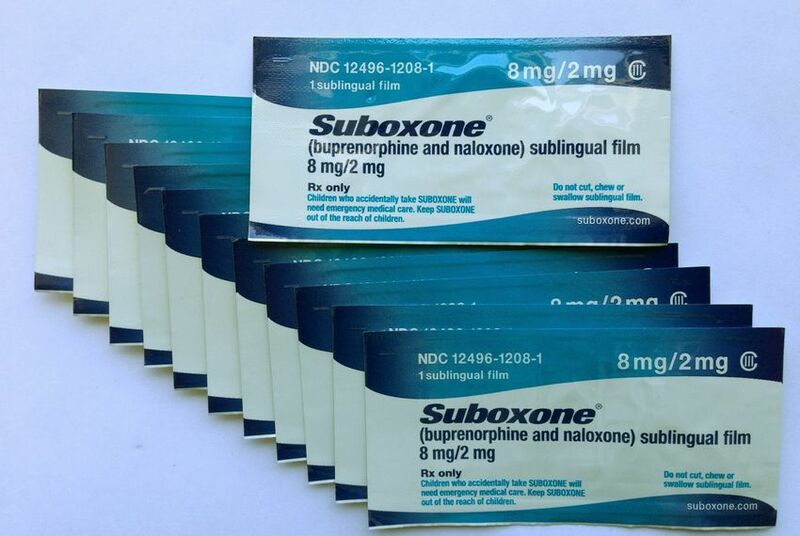 A patient has to try Suboxone before the state will allow them to use other types of medication-assisted treatments. After that, their doctor fills out a form saying why they want to use a product not on the preferred drug list such as for allergic reactions, the potential for harm to the patient or if the treatment did not work. Every few months Texas Medicaid requires that doctors go through the process of asking for permission again, which can cause delays for patients needing the medication. This can lead to a patient going days or weeks without their medication, putting them at risk of grueling withdrawal symptoms or worse, relapsing to use opioids again. Limiting medication-assisted treatment to one brand isn’t consistent with how doctors would typically treat chronic health issues like high blood pressure or diabetes, said Dr. Michael Sprintz, founder of the Sprintz Center for Pain and Recovery, a substance abuse treatment clinic in The Woodlands. He said vulnerable patients cannot always make their doctor appointments, making it important for them to have treatments that they can easily comply with. “When we’re talking about addiction, one of the biggest risks for relapses is right after we get sober, right after we get into treatment,” Sprintz said. Texas legislators in the House and Senate have been studying the state’s opioid problems during the interim period ahead of the 2019 legislative session. The House Select Committee on Opioids and Substance Abuse is slated to release its findings in November. Expanding medication-assisted treatment to other parts of the state has come up during the hearings. State Rep. J.D. Sheffield, R-Gatesville, vice chairman of the Texas House Public Health Committee, said in a letter to the board that he’s requesting buprenorphine drugs like Zubsolv and Bunavail be put on Medicaid’s preferred drug list and to “prevent Suboxone from having preferred status.” He pointed out that the board should also consider how the federal Justice Department and 42 state attorneys general are suing Indivior for allegedly blocking competition and price inflation. “Failure to provide open access to the best match to the right medication as determined by the patient and their prescriber runs a significant risk of relapse and serious health issues,” said Sheffield, who is co-leading a group of lawmakers studying controlled substances in advance of the legislative session that begins in January. Indivior is also enduring criticism because of how easily Suboxone can be traded among drug users. The drug has made headlines for its use as a layover drug for people waiting for their next fix of heroin or other opioids or because they don’t have access to formal treatment. Moukaddam said making sure patients are not selling or misusing the Suboxone is a “very tedious” process she and other doctors have to follow at the clinic. “We ask them to bring back their wrappers and we drug test them at every visit,” Moukaddam said. In 2017, there were 334 Texas doctors who could prescribe buprenorphine, according to the federal Substance Abuse and Mental Health Services Administration. The federal government limits doctors who prescribe buprenorphine to serving up to 275 patients at the same time. The patient cap has increased in recent years but there are still not enough doctors to fill the need. That’s forcing people with addiction to turn to illegally acquiring Suboxone and other treatments without a prescription. “Access to medication assisted treatment has been identified by the United States public health authorities as an essential part of tackling America’s current prescription opioid and heroin crisis,” they said. For now, Moukaddam said the idea of prescribing drugs besides Suboxone would be a “game changer." It's unclear when the board will vote on whether to add other medications to the preferred drug list. Regardless, Moukaddam said she sees the positive side of medication-assisted treatment every day among her patients. They may come in with withdrawal symptoms like sweating, goosebumps, yawning, diarrhea and abdominal cramps at first but once they get their medication, they feel better.